After going in search of a Cloud-Based Property Management Software solution for a real estate agent friend of mine a couple of weeks ago, I discovered that Rockend have released their latest Cloud-Based Property Management and Trust Accounting software solution which has been designed to provide a flexible, accessible, mobile solution that’s accessible from anywhere via the web and via any web-enabled device. 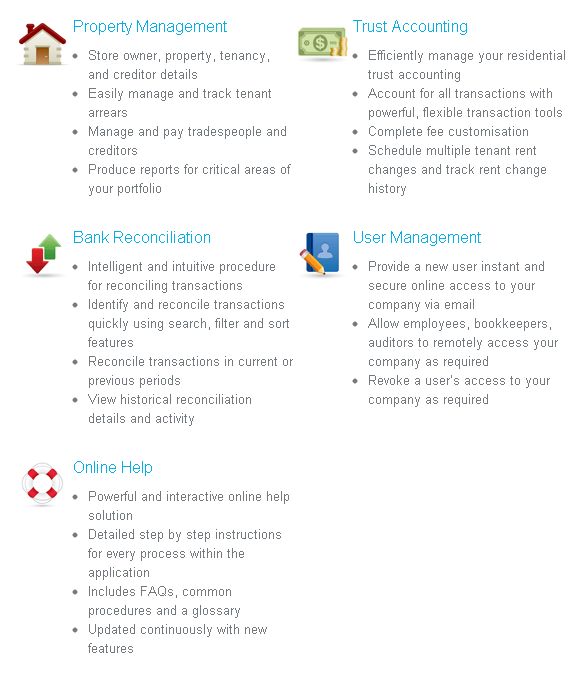 “PropertyTree is an Australian industry first, providing online, secure access to the tools and information you need to manage your rental property portfolio, and address your trust accounting needs. Monday’s Show featured an insight into Why ‘Binging Your Name?’ Is Important and how Facebook Photos are now searchable via Microsoft’s Bing Search Engine. …and Yesterday’s episode was possibly ‘The Most Important Message I’ve Ever Shared’ after having previously lost 3 Real Estate Mates to suicide…whilst Apple’s Keynote announcement of the iPhone5 Launch and the media storm that is brewing around Realestate.com.au and allegations of agents receiving Kick-Backs may have usually taken centre-stage on any other day on the show, instead yesterday’s show was about “A Very Significant Day – RU OK?”. …and even though RU OK? Day was yesterday, today is not too late to check-in on a mate. I’m not exactly sure why a real estate agent needs to look for anything specifically in ‘the cloud’. Its just a web based tool whether it uses cloud hosting or not. E.g. HubOnline didn’t use cloud hosting however it was a web based property management tool. What are the other ‘Cloud-Based Property Management Tools’ you mentioned Nick? Curious why you said, “I’m not exactly sure why a real estate agent needs to look for anything specifically in ‘the cloud’” ? Care to elaborate Nick? Well the cloud is just a variation on the type of hosting a site is on. Hosting comes in a variety of flavours like shared hosting, VPS (virtual private servers) and dedicated servers. Cloud hosting is just VPSes billed hourly. Nothing stopping Rockend from using a good old dedicated server for their service but then they couldn’t market it as running in the cloud. Just checking a few of the main web based property solutions, many do use dedicated servers but a number of them do use ‘cloud hosting’. Its relatively straight forward to see where a site is hosted. Greg what do you think ‘cloud hosting’ gives in practical terms to a real estate agent? Cloud is more than just a VPS. Cloud is a broad term and in this context means having a portal interface and database hosted by a third party accessible via the internet. In practical terms it means minimising cost to catalogue listings, vendors and track the billing lifecycle without needing anything ‘in the office’. Intern enabling the agent to do what they should be doing like driving their maserati, I mean communicating to the vendor with metrics of what is going on with their specific listing (obtained by portals) and bring the prospect to the table. Actually ‘Cloud’ is a specific term but frequently abused. At no point is a cloud simply a internet accessible database. E.g. is my internet banking in the cloud? If so I’ve heard the cloud isn’t secure. Oh no! Of course the banks run the internet banking interface on their own dedicated servers. No one would ever consider it to be in the cloud yet you can still track ‘your billing lifecycle’ with it. And in this instance it is in the cloud, but only because it is on a Rackspace VPS (branded as a CloudServer). If it was on a dedicated server hosted locally, it would be faster (mostly because of the latency to the US) but they couldn’t use the magical ‘cloud’ word. Vary Curious to know more about cloud property management software I mean how is this beneficial more than others property management software. As for me cloud means you can access your property management software from anywhere with any devices. Thanks for sharing this nice post about Cloud property and accounting management software.